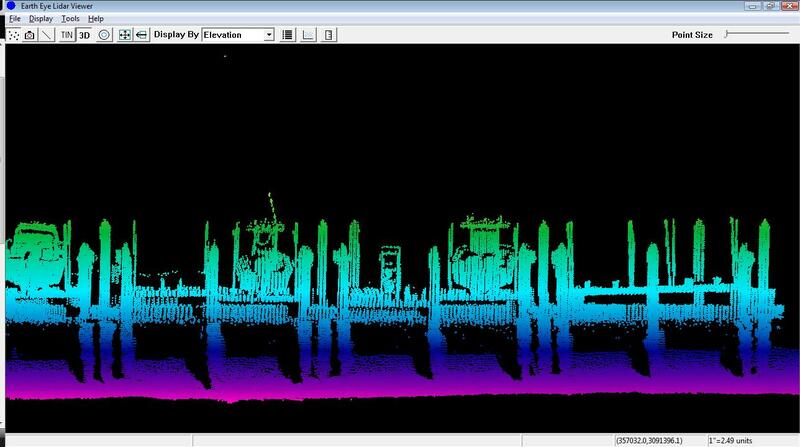 When we were at the ILMF conference, I had someone stop by and ask us about fusing Mobile LiDAR and Bathymetric data. 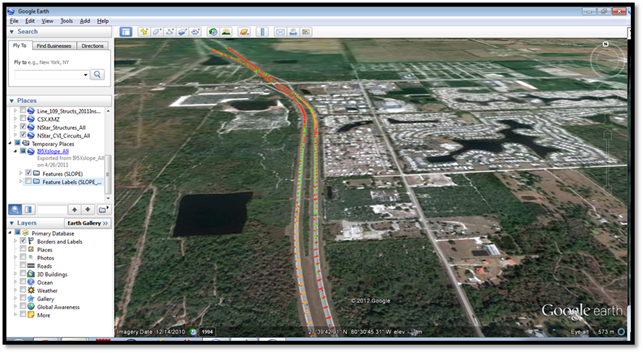 So, I asked him for an XYZ file and we made the import into EarthView. 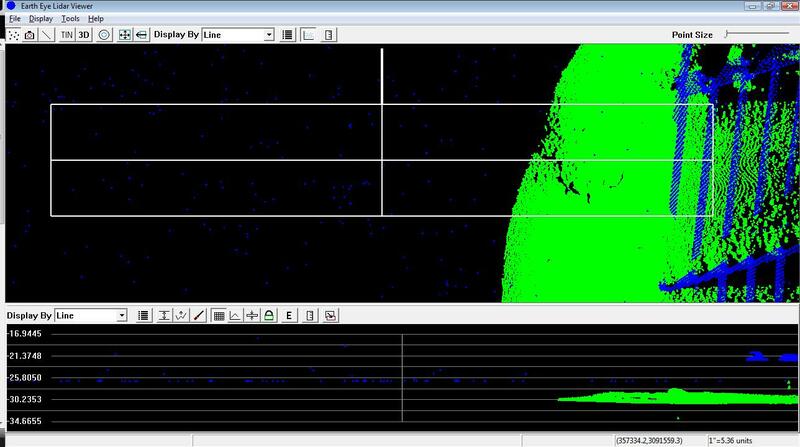 The data looked great calibration-wise and the data sets seemed to line up pretty well from a high level. His main concern was related to data editing portion of the project. 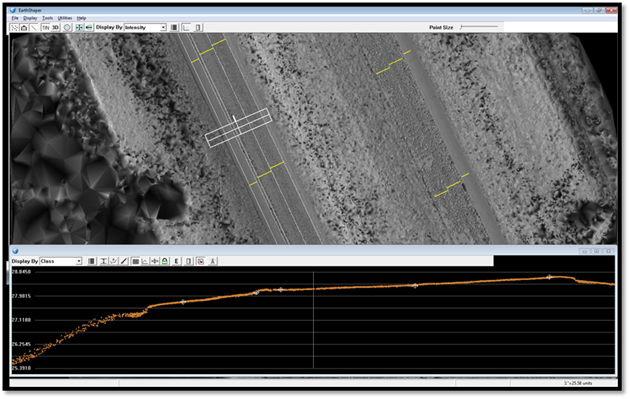 As with any LiDAR project – it is pretty easy to collect and calibrate the data, but making it useful for analysis is the hard part! The Bathy portion of this project had a lot of noise in the point cloud and required some re-classification for sure as shown in the graphic below. 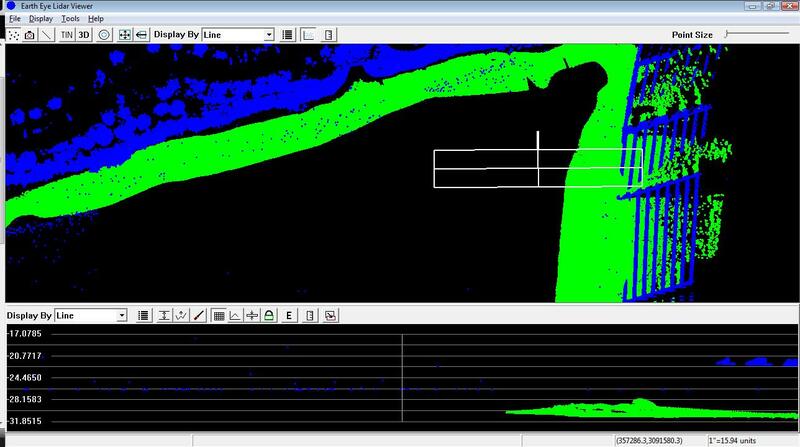 The Blue data is the Mobile data and the Green data is the Bathy data – each is colored to its corresponding point cloud. The Floating blue points are mostly the water surface, but some of it is floating above the surface and needs to edited out of the point cloud. 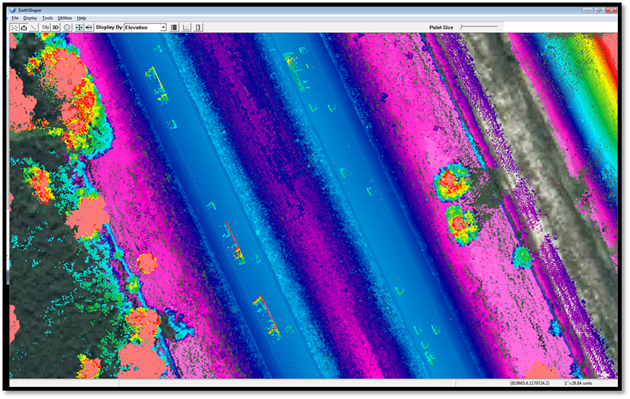 We handle this by using our editing tools to re-class those points into the “Water” class so that it has a home in the point cloud. The next graphic shows how we can re-class those points with editing and the resulting “Hole” in the point cloud where the Water class has been turned off. 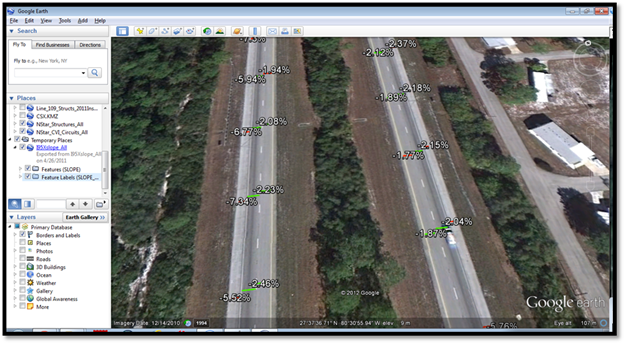 Please note that all of the data hasn’t been edited for this demo, just a subset to show the editing tools. 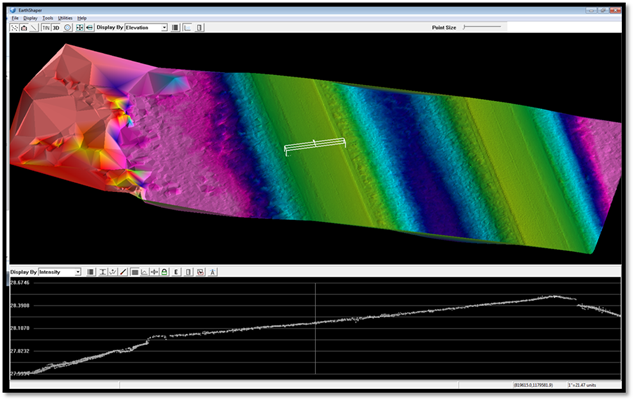 Here is a profile view of some boats parked in their slips – this shows above-ground features and underwater features simultaneously. Once again, this is all “cool” in terms of pictures, but there is a lot of noise in the data that needs to be hand-edited before a true surface can be created with the data. We’re working this data as we speak and I’ll post more about it when we’re finished editing!